As you think about autumn (which officially begins the week commencing September 22nd), you may think about the frosty mornings which see your lawn glisten in the low sun or the hearty meals which you can soon look forward to as winter arrives. However, at eSpares as great as we believe hearty meals are during the autumn and winter months, and as nice as the views of leaves turning colour may be during an evening jog, we believe there are a few tasks which need to be carried out within the garden and home during the autumn months. As the weather begins to turn, you may be of the belief that there is little left to do in your garden this year. However, to help your garden remain your little slice of paradise, not just for the remainder of this year but also next year. 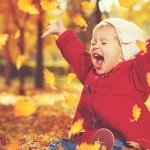 The tasks which need to be carried out within your garden during autumn can be split into two categories, those which should be carried out during early autumn (such as in the next couple of weeks) and those which should be carried out throughout all of autumn (especially during the latter weeks of autumn). Whether you’re a keen gardener or not, the early autumn tasks to be carried out within your garden include, bringing in tender plants before the first frost – ideally these should be brought in at the earliest opportunity, and placed within a nice secure greenhouse, which will keep the right amount of heat during the cooler days and nights, whilst offering protection to your well tendered plants. Whilst bringing in your more delicate plants to protect them, early autumn is also the time to plant spring bedding and spring bulbs, giving your garden the best chance of being in full bloom come next year; whilst you should also spend some time using your secateurs to tidy up the perennials by removing dead stems. 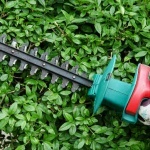 As autumn gets close to turning to winter, you should also take the time to bring your garden vacuum out of its storage and to clear any fallen leaves which are littering the lawn and flowerbeds; as allowing these to cover such areas for prolonged periods of time can have a detrimental effect on the garden in both the short and long term, particularly as it prevents the spring bulbs and grass from getting the light they need for healthy growth. If a garden vacuum is not currently part of your gardening arsenal, then give our “How to Pick the Perfect Garden Vac” blog a read to find the perfect appliance for your needs, requirements and budget. With the autumn equinox comes a significant change in the weather, as the cold, wet and frosty days return during the run up to Christmas. With such weather comes the challenge of keeping your house clean as your family and pets wonder in and out, bring with them muddy footprints and garden debris, such as dried leaves stuck to their shoes. When it comes to cleaning up such dirt, there are two steps which if you follow will help to keep your home looking clean, whilst reducing the risk of muddy stains appearing on carpets and upholstery. The first step is to vacuum up as much of the debris and dirt on the floor as possible, although take care not to vacuum large pieces of dirt which can cause damage to your vacuum’s rollers, as this can lead you to having to spend time repairing the fault (after all, we all know it’s better to repair than replace a faulty appliance). Once you’ve ran the vacuum over the carpet and removed as much of the dirt and debris as possible, it’s time to start phase two of the cleaning process, and this involves using either a steam cleaner or a steam mop. Using either the cleaner or the mop will provide a deeper clean to the flooring, helping to remove signs of dirt which may be deeper down than the average vacuum can reach, as well as removing the muddy footprints which have been left on the floor. Steam cleaning will also provide a more hygienic clean to the surfaces they’ve been used on, helping to remove any allergens which may be hiding within your home, helping to prevent any winter sniffles. 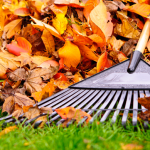 When carrying out either the autumnal gardening tasks mentioned above or the autumnal house cleaning essentials, at eSpares we stock the tools that you’ll need to help make the tasks easier and cheaper – leaving your garden and home looking spick and span.